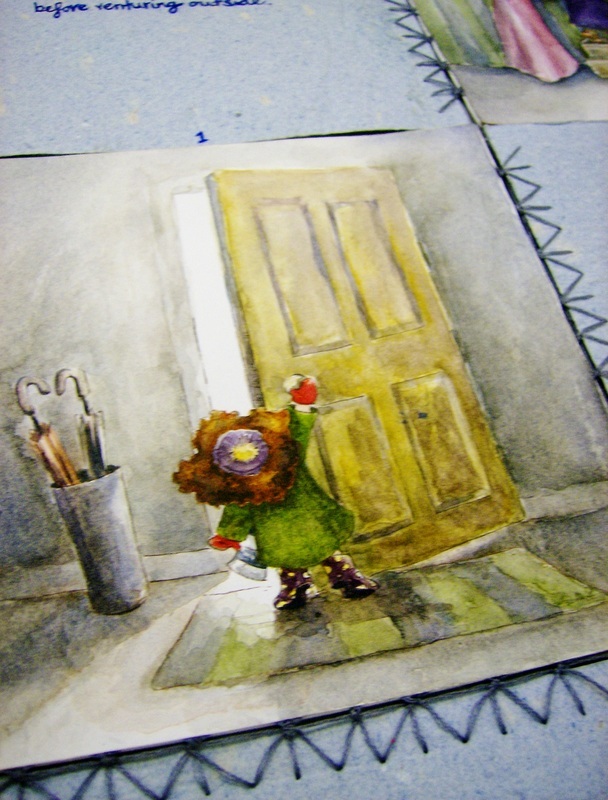 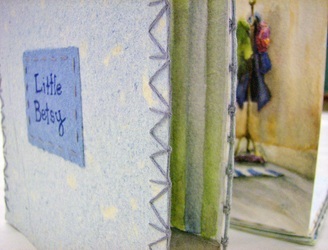 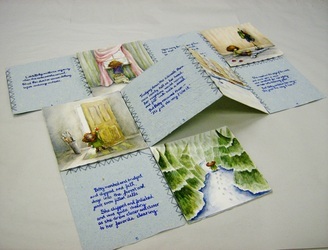 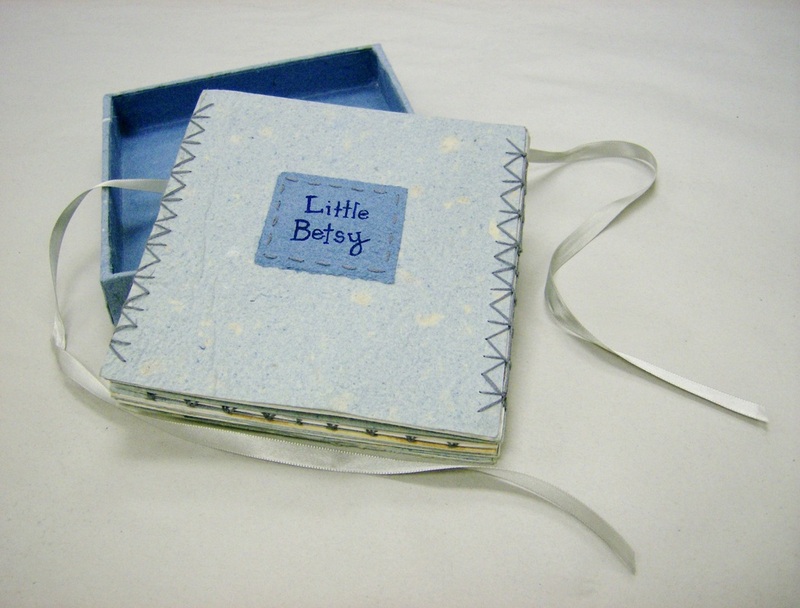 Little Betsy is my first children's book I ever wrote, bound and illustrated by hand. 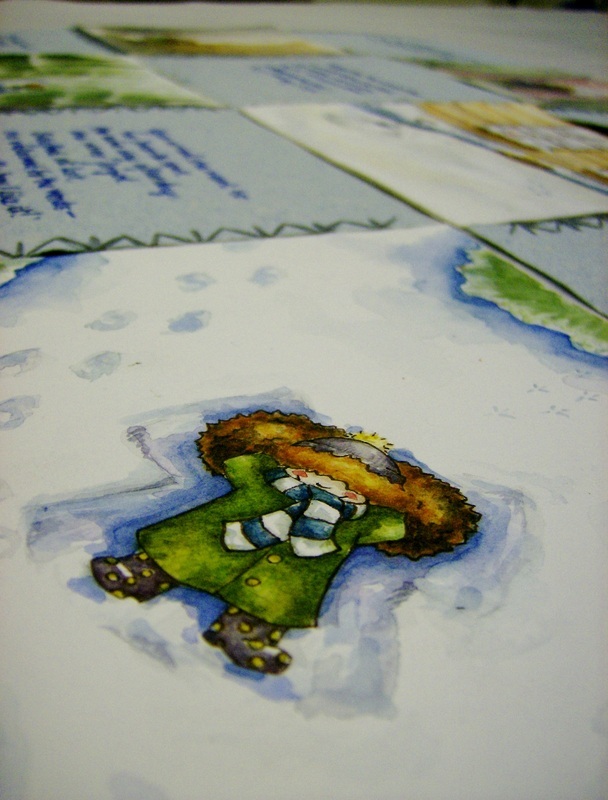 She is made on handmade cotton and jean paper and the images are watercolored. 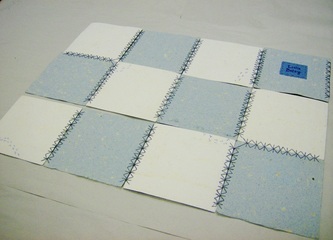 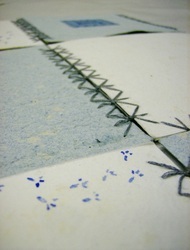 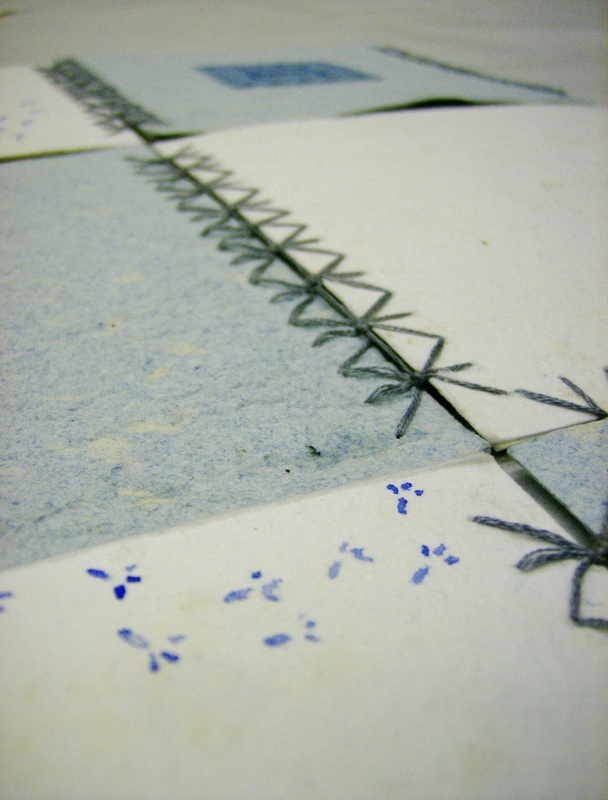 The book is bound with an invented hinge stitch to imitate a quilt and let the pages to fold both directions. 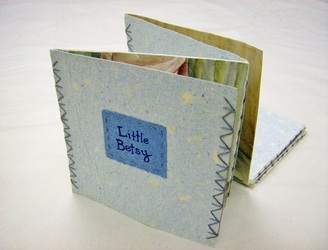 This allows the book to fold up into a little stack and nestle into its box.